Your wedding is about you and your fiancé getting married and sharing your love and commitment with those around you. However, I personally feel that my guests’ enjoyment is paramount to that experience. That’s why it’s important to me to thank them for their support and ensure that I do everything in my power to make sure they have a fabulous time.With that in mind, here are the most common gripes I’ve heard throughout the years (and how to pre-empt them). Think it over before asking guests to forfeit spending Christmas or the Super Bowl with their loved ones to celebrate with you. Hosting during a holiday may disrupt traditions they’d prefer not to miss, and in the case of a sporting event, you may find that guests are MIA because they’re sneaking off to catch the score or watch it on a nearby TV. 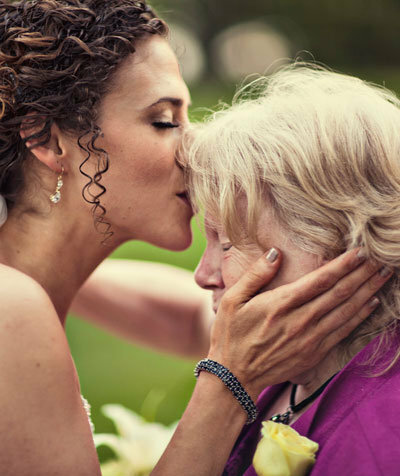 How to deal: If you’re considering wedding at a potentially sticky time of year, check in with your closest loved ones to see if they already have set plans or would be open to attending. Some events may be easier to pull off than others (e.g. I’m getting married on Labor Day). In some cases, like Halloween, there is no other option if you’re planning on throwing a full-out themed bash, so just shrug off the complainers! Also guests may be more inclined to consider attending if they knew about the date for months in advance, so the sooner you send out that save-the-date, the better. It’s also a good idea to check your local events calendar to ensure your big day doesn’t compete with a parade or other large-scale community event (meet this couple who got an impromptu visit from Mr. Obama). There is nothing more frustrating than when a guest assumes they’re receiving a plus-one you had no intention of inviting (we meet again, random bar hookup #22). This can happen even if you address the wedding invitations using proper etiquette. How to deal: Don’t dodge the question—it will only make things more awkward. I’d recommend addressing the miscommunication kindly. 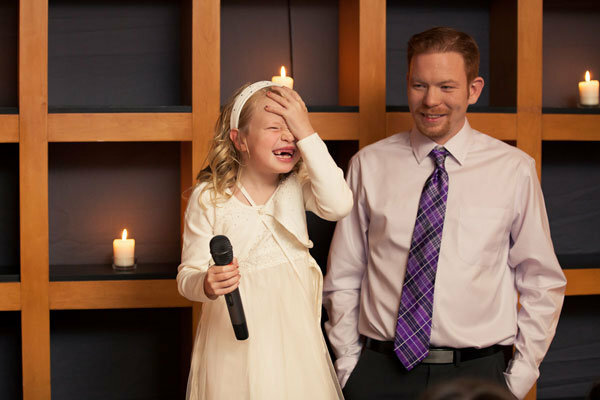 Please don’t tell someone who thought their children could come that you “can’t have them there because weddings with kids are tacky” (true story). Avoid confusion by writing the names of the guests you want to invite on the response card and having them check off a “will attend” or “will not attend” box. How to deal: If your guests’ elbows touch and they can’t easily move in between tables, you’ve probably crammed too many of them in one spot. Also keep centerpieces at a conversation-friendly height (no one wants to stare into an orchid all night). If you’re having a hard time divvying a group of friends or family members equally, try to seat guests within the same vicinity so that they can lean over and “awww” together during the first dance instead of texting across the room. 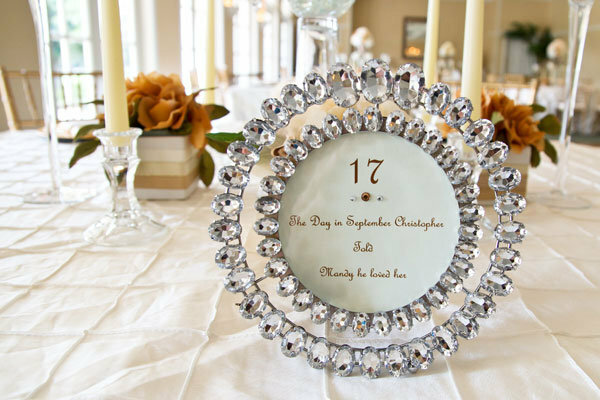 Table numbers with fun facts about the couple serve as a great conversation-starter. How much do guests dislike cash bars? Just watch wedding planner David Tutera’s reaction when we asked him about them and see for yourself. How to deal: All the pros are in agreement that cash bars are a major no-no. You’d never ask a guest to pay for a drink in your own home, so why should the wedding be any different? However, that doesn’t mean you have to fork over the cash for an open bar if you can’t afford it. Tutera recommends serving a limited selection of wine, beer and champagne or a couple of signature drinks. 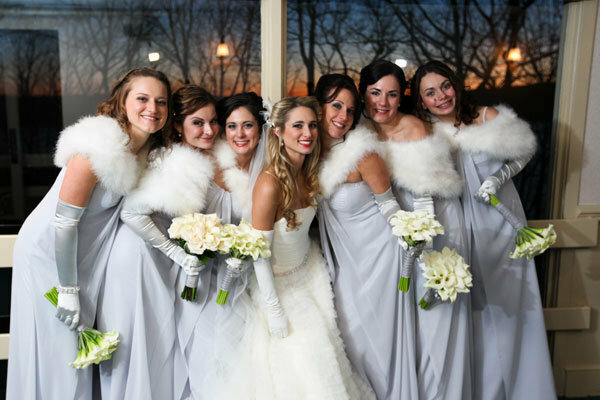 Faux fur shrugs add a seasonal element to your wedding photos and keep guests warm (see how happy they look?). When I was no older than eight or nine, I went to a family party that I’ll never forget. But it wasn’t the bride’s poufy princess dress or the heartfelt recitation of vows that I remember most. It was the McDonald’s my cousin Vinny and I were allowed to eat afterwards, gleefully dipping fries into ketchup in the back of the car (because the food at the reception was so terrible). How to deal: During your cocktail hour and dinner, play music that’s low enough so that guests can hear each other without having to scream. Pump up the volume when it’s appropriate, and don’t seat any elderly guests right next to the speakers. Conversely, nothing is more awkward than being at a wedding where no one wants to get up and dance. If a song or genre just isn’t working, ask your band or DJ to switch gears. Have fun with it: Once guests see your best Oppan Gangnam style impression, they’ll want to join in, too. Even just a quick peck can elicit a joyful reaction.